In my 2016 preview for the New York Mets, I predicted that the Amazins would repeat as National League Champions. A more balanced offense and an improved defense will help New York avoid the streakiness of the prior season. Outside of the Washington Nationals, no other team in the National League East is expected to finish at or above the .500 mark. This should allow the Mets to clinch the division not with relative ease but enough of a cushion so that the final week or ten days of the season will be drama-free. How will these Mets do individually? Here are five players and a fearless forecast of how the upcoming campaign will fare for each of them. 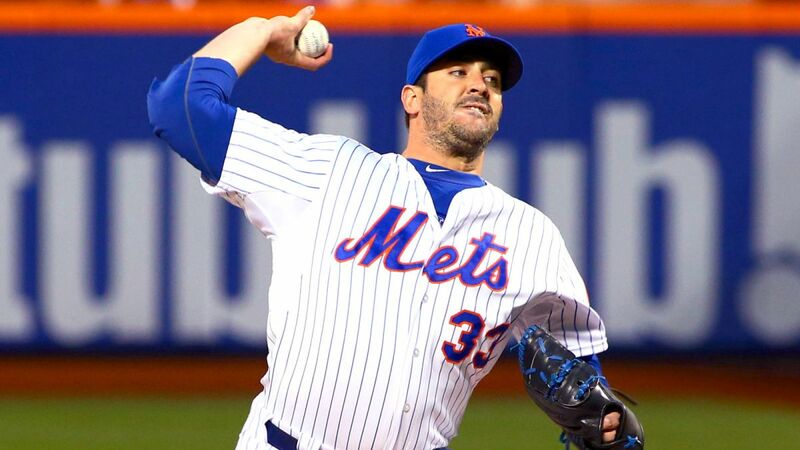 Matt Harvey will have a monster season. The shackles are coming off. All limits will be removed. The Dark Knight is going to show the baseball world how good he really is. After a season in which Harvey endured much consternation both on the field and off, he gets to unleash the pitching beast. He is another full year removed from Tommy John surgery and he has an offense that will score some runs instead of watching him endure endless 2-1 outings. We have seen the best of National League’s elite pitchers over the past three seasons such as Clayton Kershaw, Madison Bumgarner, Zack Greinke and Jake Arrieta. Gerrit Cole is a guy I would compare favorably with Harvey in terms of the best is yet to come. However, Harvey is going to be in a different world in 2016. 20 wins, an ERA under 2.00 and 230 strikeouts are all possible for Harvey. My money is on him reaching all three of those numbers. David Wright will play in no more than 100 games. Dealing with a troublesome back is no fun and games. Wright only recently has appeared in a Spring Training game and while the team is optimistic he will be ready for Opening Night, all it takes is one awkward swing to send the captain to the disabled list. The Mets should have a better idea on how to handle the former All-Star; he was diagnosed with spinal stenosis after last season had already begun. With no designated hitter in the National League, Wright won’t be able to use that slot as a day off in the field. With his penchant for reaching for the outside slider, expect opposing pitchers to work him away. That, in turn will aggravate his condition until he learns to lay off that pitch. If the Mets get Wright for 90-100 productive games, it might be some kind of minor miracle. The Neil Walker you saw in Pittsburgh will be the same Neil Walker you see in New York. Some folks may think that after spending his entire career in small market Pittsburgh, Walker would have a tough time acclimating himself to the bright lights of the big city. That won’t happen. Walker was a steady performer in Pittsburgh, averaging 135 games over the last five seasons and collecting a Silver Slugger Award in 2014. He will provide nearly the same, if not match the amount of offense of the departed Daniel Murphy. The 30-year old Walker hit .269 with 16 home runs and 71 RBI’s last year and his defense at second base will be a significant upgrade. After reaching the playoffs the last three years with the Pirates, Walker has his best shot at playing in a World Series with these Mets. Steven Matz will not make 20 starts in the Majors. There are a number of reasons why the prized left-hander will have a gradual phase-in to life in the Majors. The first and most concerning is his injury history. Last year, he dealt with a torn lat muscle in July and a back issue that cropped up just as the regular season was ending. Let’s not forget he underwent Tommy John surgery in 2010. Matz pitched brilliantly when healthy; can he remain that way? Which brings us to how cautious the Mets will be with him. The team put innings limits on their other young pitchers, occasionally skipping their starts. You can bet they will do the same with Matz. Also, there does exist the possibility Matz will struggle. Think how hard it is for even two young starting pitchers to excel immediately. New York has already done it with three. Four might be asking a lot. With Zack Wheeler coming back in August and Bartolo Colon returning for another year, would it stun you if Matz was demoted after a couple of rough outings? These three things will combine to limit Matz to anywhere between 16 and 18 starts. It is too much to ask for an encore of Cespedes’ initial campaign in New York. In fact, he probably won’t duplicate the 35 home runs and 105 RBI’s he put up with the Mets and Detroit Tigers. However, he doesn’t have to in order for the Mets to win. He is a presence in the batting order, a guy that can ease the pressure on the rest of the lineup. With Cespedes hitting third, maybe Wright doesn’t have to lunge at every slider out of the strike zone. With Cespedes around, Lucas Duda shouldn’t have to endure those long stretches of futility that became a punchline last Summer. Travis d’Arnaud looks a lot more dangerous hitting sixth than he would hitting fifth. That’s what Cespedes brings to the Mets and why there was a near-riot when the Baltimore Orioles offered him that five-year contract. So yes, Cespedes’ number will drop a little in 2016. However, 25-30 homers and 90-100 RBI’s is plenty good enough for the Met lineup.